This is Round 9 of my Friday Faves. Enjoy! *Just for Fun: Do you have a can't-live-without-it item? Send me a message using my blog's comment box, and I might just include it with a link to your blog (if applicable) if I love it too! 1. Boden Clothing. Have you received a Boden catalog in the mail? They have adorable, yet a little too pricey for my taste children's clothes, but they also carry really pretty and wearable women's clothing. It is on the higher end side (a t-shirt will cost you more at Boden than at Target), but I try to buy a few Boden pieces a year to update my "wardrobe." One tip: order one size up in U.S. sizes if you want a bit of a looser fit. 2. Disney Pixar Cars 2 World Grand Prix Launcher (~$20). My amazing sister gave this toy to my 3 year old son for Christmas, and he uses it daily. If you have a little kid who is in love with cars, this is a sure bet. My son likes to organize the cars in it, talk about the cars in it, and then launch them out. 3. Marian Keyes. Have you read any of Irish author Marian Keyes's books? She strikes a really nice balance between humor and heart, and I love how all of the character's lives intersect. I just finished the Mystery at Mercy Close, one of her more recent novels. Some of her older, memorable ones are: Watermelon, Lucy Sullivan is Getting Married, Sushi for Beginners. Even her short collections of personal essays make for good reading. 4. 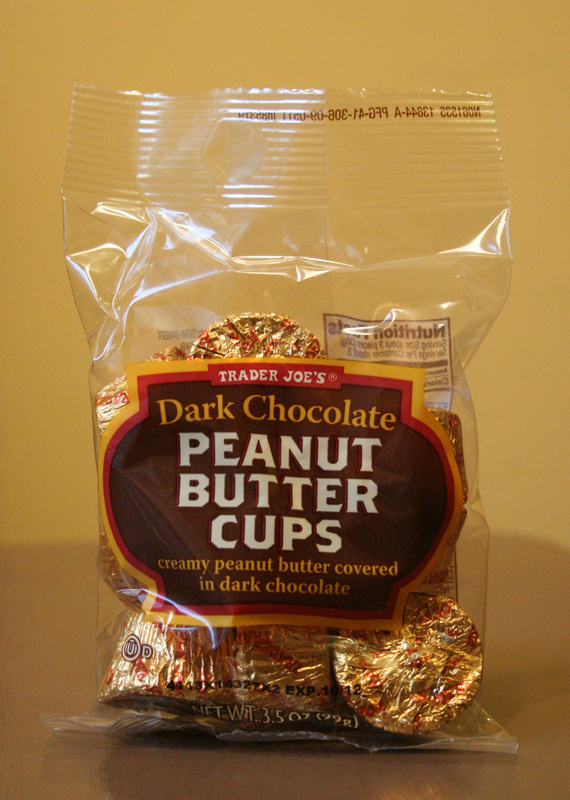 Trader Joe's mini dark chocolate peanut butter cups. I know what you're thinking: she's obsessed with Trader Joe's! And you are right-- I am a little obsessed. I'm also obsessed with peanut butter and dark chocolate, especially when combined. So these are a perfect little treat. 5. 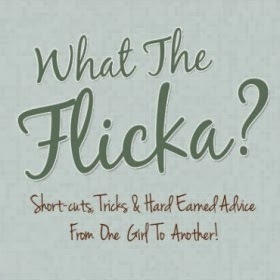 What the Flicka. I'm giving a shout-out to the fun website I contribute to, started by the smart and funny actress/wife/mother Felicity Huffman. The website features cute and often hilarious child-centered YouTube clips, lighthearted articles on motherhood, as well as recipes and crafts. You can connect with Frantic Mama using: Facebook, Twitter, Pinterest, Google+, and my newest interest: Instagram! I'm also honored to contribute to: Mamalode & Mamapedia.